Sure many car dealers in Wisconsin can sell you a new or used car. There are even car dealers in Wisconsin that claim to give you good deals on new and used cars for sale near me. But it takes a special car dealer in Wisconsin that offers a great selection, great deals, and great customer service. That car dealer in Wisconsin is Ewald Chevrolet Buick. Don’t take time away from friends and family during the holidays searching car dealers in Wisconsin when we have the used cars near Brookfield WI that you want and need. Our customer service sets us apart from other car dealers in Wisconsin. We enjoy going above and beyond to assist our customers in allowing you to have an enjoyable car shopping experience. And our selection of used cars near Brookfield WI is second to none. We have many makes, models, and body styles of new and used cars near Brookfield WI. We do our best to take the stress out of finding your next car. We want you to find something that fits your style and your budget at our Ewald’s car dealerships in Wisconsin. Find a car with features both inside and out that you want. 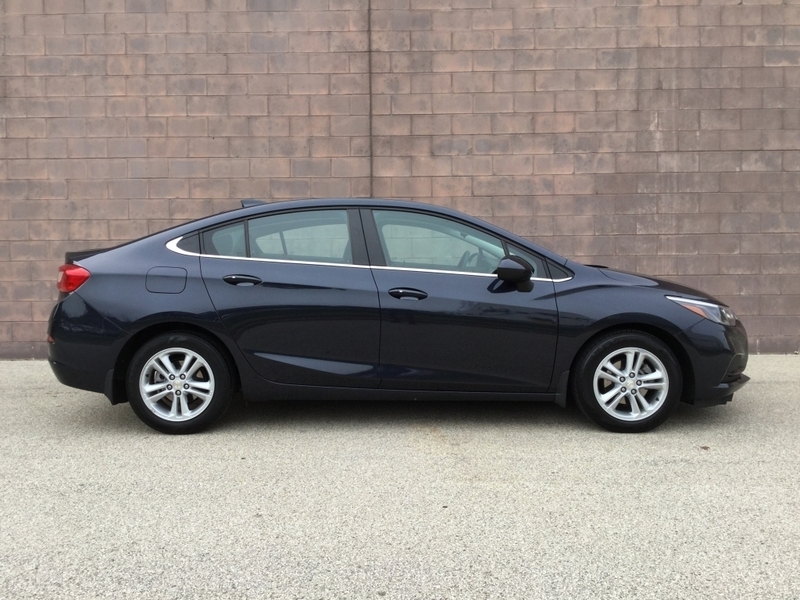 Like the used 2016 Chevrolet Cruze LT. This used car near Brookfield WI is full of incredible features. Such as remote start, Bluetooth, and heated seats. As well as a backup camera, a center armrest for additional comfort, and keyless entry. The steering wheel controls on this used car allow you to can change the radio station and adjust the volume. You can even answer calls and set the cruise control with this feature. Come out and take this used car for sale out for a test drive today. If this Chevy Cruze isn’t the right vehicle for you, take a look at our other used cars near Brookfield WI. Our remarkable variety of used cars for sale makes it easy to find the perfect car for you. It doesn’t have to be challenging to find a used car for sale that you will enjoy. Search through the many used cars near Brookfield at our car dealers in Wisconsin of Ewald Chevrolet Buick. When it comes to used cars for sale make the drive to Ewald Chevrolet Buick. We look forward to working with you. We will work hard to find the right used car for you. Ewald Chevrolet Buick wants to provide you with the best used car buying experience possible. When it comes to buying your future used car, Ewald Chevrolet Buick is here for you. Check out our outstanding inventory selection of used cars for sale today. You can find Ewald Chevrolet Buick at 36833 E Wisconsin Ave Oconomowoc WI, 53066 to check it out in person. Or give us a call at (262) 226-2842 to schedule your test drive. Or check us out online. We have a website that is easy to navigate and has useful tools to help you in the car buying process.